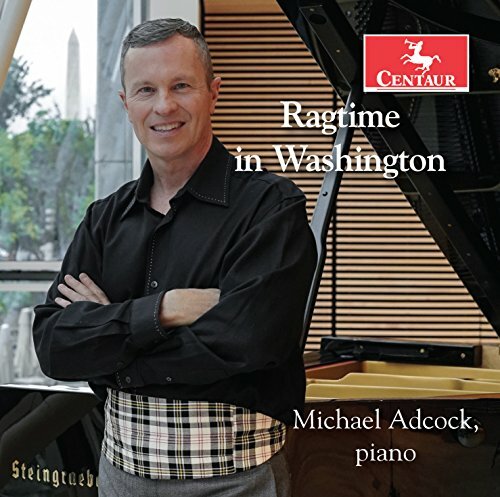 Winnipeg Free Press reviews"Ragtime in Washington"
This new release celebrates the quintessentially American art of ragtime, courtesy of Washington, D.C.-based pianist Michael Adcock. The album features 17 tracks that resurrect such favourites as Scott Joplin’s Bethena, and The Easy Winners, as well as lesser-known nuggets culled from ragtime’s golden age of 1905-1917, including Henry Lodge’s Red Pepper Rag. However, Adcock does not merely set his gaze on the distant past, but actually posits ragtime as a living, breathing art form, thanks to a wide selection of pieces penned by contemporary composers clearly sharing his passion. Four works by William Bolcom — Incinerator Rag, The Brooklyn Dodge, Last Rag and Fields of Flowers — create fascinating context for Joplin’s older rags. Newer PostFanfare Magazine reviews "Soul of a Nation"
Older PostJoel Flegler reviews "Soul of a Nation"